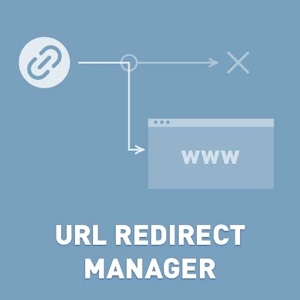 Plugin allows you to manage any URLs redirects (ex. 301 redirects). 1. Import mapping table (RequestURL => TargetUrl and HTTP status code). 2. Enable log HTTP 404 error code, you will be able to have a list of bad URLs and solve this problem. How to redirect PHP files (.php, .aspx and another static URLs) for nop 3.90? Not registered version is fully operational. Unregistered version is fully operational. It has only one limitation (50 routes). Try before buying. Compatible with NopCommerce 4.10, 4.00, 3.90. + fixed bug "wrong redirect if Target Url has *". If you use such Target Url 'notebooks*' than plugin catch all urls like that 'superfastnotebookswithcpu' and 'notebookswithcpu', but plugin need to catch only second one. + changed logic. Plugin uses RedirectUrl without '/' at the end of the Url. + added new feature "Comment for rediect Url". + added new feature "rediect Urls with parameters". - fixed bug "didn't change the store for URL" link. + added support redirect URLs with query string, ex. www.yourstore.com/testpage?param=1 to www.yourstore.com/testpage2. - fixed bug "wrong redirect if the source url has sublevel" link.